Twenty-­three year educator Wanda Terral is the District Technology Coordinator for the Lakeland School System (outside of Memphis, TN). 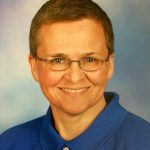 A former band director, Wanda’s constantly seeking information relating to techniques & practices related to the use of tech to empower students and educators. A Google Certified Innovator (#GTAATX14) & Trainer, she shares resources on Google+, Twitter, & her blog. She was the 2016 Lead PBS LearningMedia Digital Innovator for the state of Tennessee and was selected to attend the 2016 Google Geo Teachers Institute. She’s currently completing her dissertation (EdD in IDT) at the The University of Memphis focusing on self-directed professional learning. When not spending time with her four cats, she is exploring sketchnoting, coding, and following leads of goodness shared by her PLN. 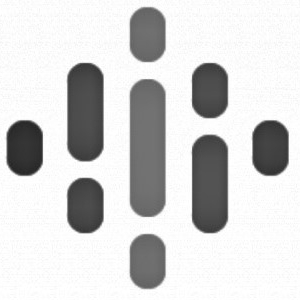 Thank you to Apple Podcast user Southern Eagle Girl for your recent podcast rating and review! Matt - The Ditch That Textbook Digital Summit: Open until Dec 31! 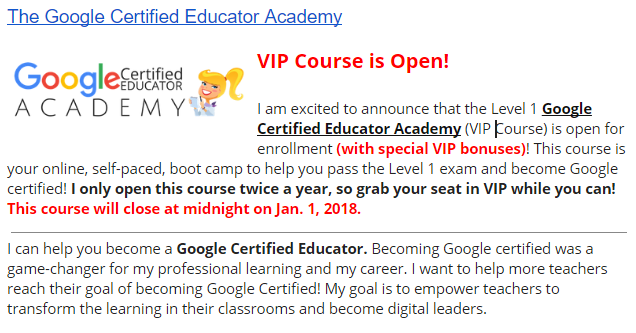 Kasey - Google Certified Educator Online Bootcamp!